You are here: Home / Recipes / Dinner / Meatballs and Potatoes! 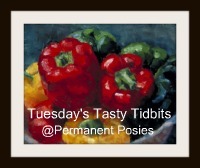 Welcome to Tuesday’s Tasty Tidbits at Permanent Posies and guest blogging with Grocery Shop for Free . 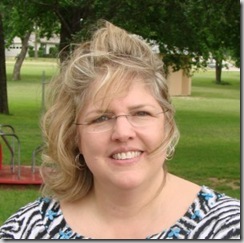 We are joining together again to have fun with a recipe link-up. I hope you will join with us by linking at the end of this post with your recipe and be sure to link back somewhere on your post. We have received really awesome ones in the past and I look forward to this weeks entries. My daughter has been telling me about this simple dish that she makes and I finally decided to try it. 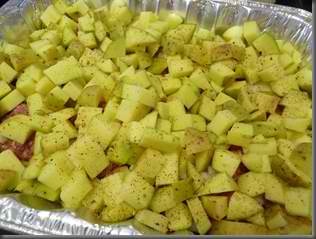 It is a recipe that her mother-in-law’s family makes and it takes about 15 minutes to prepare but cooks for 3 hours. I had to take a dish to someone and decided to give it a try. First, I made it for my husband and I to make sure we liked it….and we did. 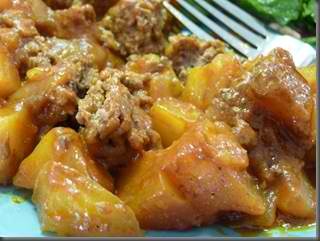 This would be an easy dish for anyone to make! Sprinkle the meat with salt, pepper and garlic powder. Form them into 1 inch meatballs. Layer in a single layer the meatballs in a deep lasagna type pan. Dice the potatoes into bite size pieces and chop the onions. 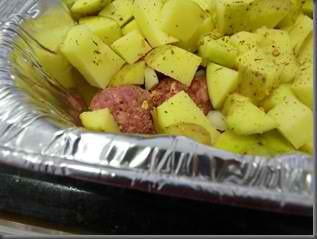 On top of the meatballs, first layer the onions and then the potatoes. 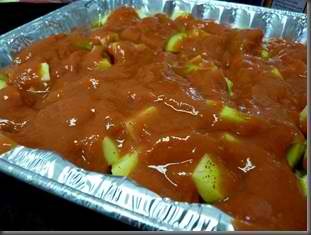 Sprinkle the potatoes with salt, pepper, southwest seasoning and garlic powder, generously. 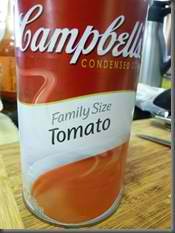 Pour the Campbell Tomato Soup over the meatballs and potatoes and then pour 1/2 can of water on top of that. 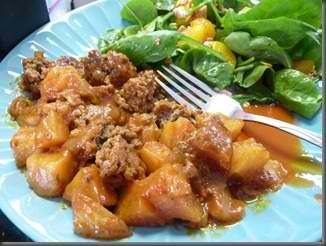 Hope you will share you recipes and check out other posts at Tuesday’s Tasty Tidbits! She did it again! Now I want to run into the kitchen!